The available transvaginal probes vary slightly in shape. 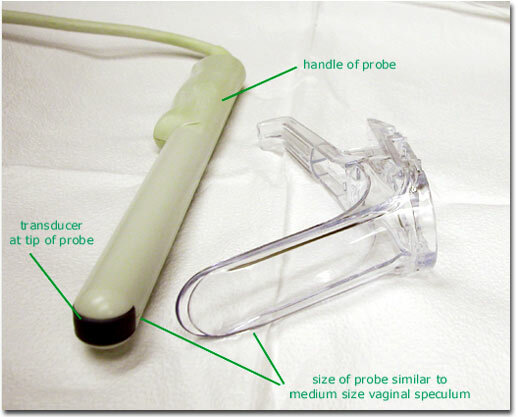 The size of the transvaginal probe should be about the size of a small to medium size vaginal speculum. Probes that are significantly larger than this are probably not designed for vaginal use.